How Much is Baan Teelanka? 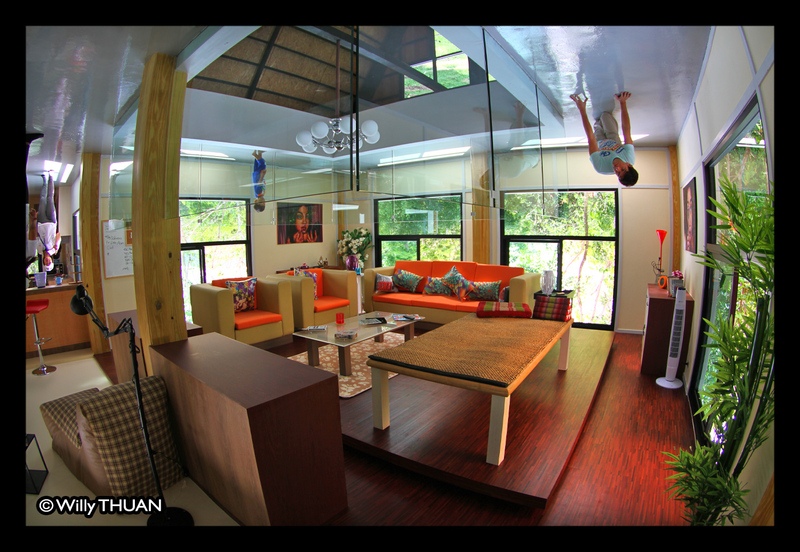 Phuket Upside Down House (Baan Teelanka in Thai) is one of the most surprising attractions in Phuket. Once you see it, there is no need for any explanation as this pink house is standing upside down in a garden like if some giant kid had casually dropped it after playing with it. In all ‘logic’, you need to enter Baan Teelanka through the roof, directly into the attic. (If I didn’t show you the photos, you would be scratching your head right now). From the attic, a staircase takes you to the main living area of the house where the fun begins. First, your brain tries to make sense of what is going on here. OK, everything is on the ceiling, it’s interesting. Slowly your brain starts to adjust to the fact that you are walking on the ceiling! You are the only object in the wrong position in the house! Even the real fish in the aquariums are swimming upside down. 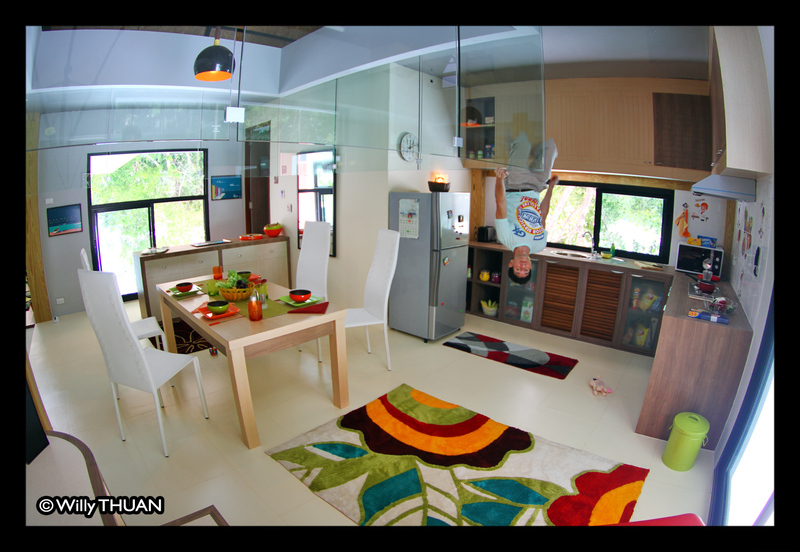 Once you start to visualise this, it’s great fun to walk around Baan Teelanka and admire the designer’s skills. 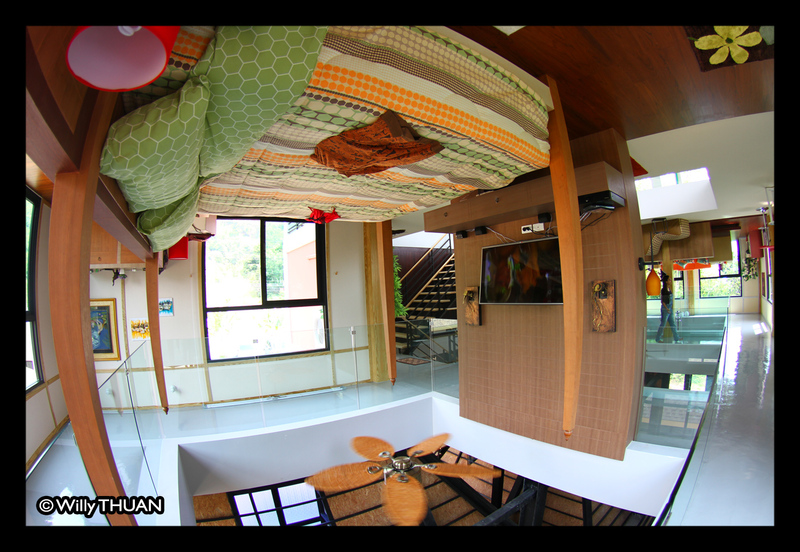 The bedroom with an inverted TV playing video clip form the song ‘Upside Down’ image being inverted as well of course. 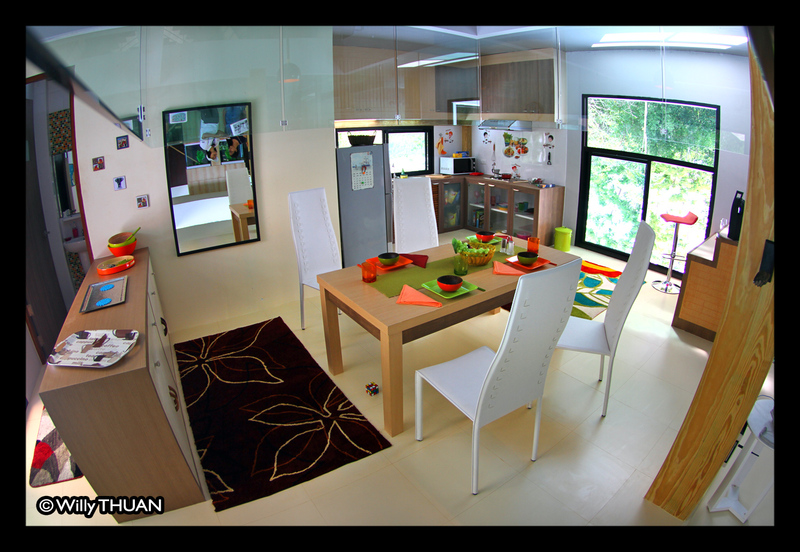 The kitchen, living room, bedroom, working area are all beautifully executed. You have to take a photo and rotate your camera to realise that it looks perfectly real! From there it’s up to your imagination to find the most striking pose, whether you want to be Spiderman, Spider-pig (from the Simpson movie), a ghost crawling in a ceiling corner or the poor guy defying gravity. And don’t miss the toilet/shower room, lost of fun and silly poses to try here! You can then continue and walk up (or down) to the open air basement. Baan Teelanka being a modern Thai house, it is (supposedly) built on stilts where usually the garage, kids playground are found, and the highlight of the house: a real Tuk Tuk! Behind this fantastic house is another fun attraction: a large garden maze to challenge your senses further aptly called ‘A Maze In Thailand’. Seen from high grounds, it seems pretty simple as you can see people trying to find their way from Point A (the entrance) to Point B (the exit), but try it! Once in there, it’s a lot more difficult and more massive than it seems, a great way to play with your kids. This ‘perception is challenging wonder’ is the brainchild of Alex Riva, previously hotel manager in an international chain of hotels, and his wife. Baan Teelanka is their dream come true and every item, every frame and every shoe you will see in the house is the result of their passion for details, and the house still evolves!